The Project Gutenberg Project: Wishlist: Wa-oooo-Werewolves! Look out! Werewolves are back, y'all! Yes, there's the fuzzy guy who always loses his shirt in the Twilight saga, but there is also the down and dirty Jake Marlow from The Last Werewolf. Plus, a plethora of paranormal characters both goodies and baddies. Of course, ye olde werewolf has been around for ages. I recently read Anne Rice's latest, The Wolf Gift, in it she references a bunch of wolf related novels. You may or may not have heard of these. *The Wolf Leader by Alexandre Dumas. I've actually read this one. A man sells his soul for the vengeful powers of a wolf. This one is based on the folklore tale Dumas heard from a family friend when he was a boy. Project Gutenberg doesn't have it but I did find it online for free. It's not the easiest read because of the typos. *The Man-Wolf by Erckmann-Chartrain (also The Count of Nideck adapted by Ralph Browning Fiske). A short story of a Black Forest monster, The Man-Wolf was created by the French duo Erckmann- Chartrain. The link goes to an English version of the story. I'm not sure about the adaption by Friske. I can't find much about it, other than it's illustrated. 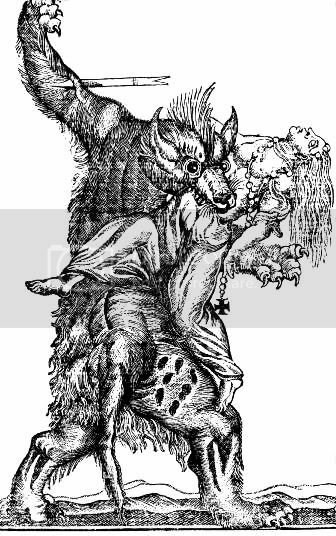 *Wagner the Wehrwolf by George W M Reynolds. This one sounds really terrible! It's a penny dreadful and even the description on Goodreads is flowery. Wagner gives the last year of his life to a guy named John Faust for wealth and youth. Of course, he has to become a werewolf to get it. Should be interesting. *Vandover and the Brute by Frank Norris. As far as I can tell, there are no werewolves in this one. Darnit. Vandover is a young artist in San Francisco who does a lot of drugs in seedy bars. This bad side of his personality is referred to as 'a wolf.' Boo. *Were-wolf by Clemence Housman. This one involves a lady werewolf. Housman was a suffragette. HP Lovecraft had this to say, "attains a high degree of gruesome tension and achieves to some extent the atmosphere of authentic folklore." This could be interesting. *The Werewolf by Eugene Field. This is actually a short story within a collection of Eugene Field's work called Second Book of Tales linked here. Field was a children's author. *The Book of Were-wolves by Sabine Baring-Gould. If you really want to know about the myths and legends of the werewolf, this vicar (yes, vicar) and historian who taught classes with a bat on his shoulder wrote quite the tome on them. Not on Project Gutenberg but scanned onto Sacred Texts (a website). I think I'll skip this one. Have you read any of these? Are they worth reading?